Jay Elowsky of Pasta Jay’s is getting sauced — in a good way. The owner of Pasta Jay’s restaurant in Boulder (1001 Pearl St., 303-444-5800) — and in Lone Tree and Moab, Utah, — is taking his popular marinara sauce to the retail level. Elowsky has served the garlic-infused sauce at his Italian restaurant for more than 25 years, to whoever passed through his doors. Now he wants to jar it up for the world. Elowsky says he’s long wanted to offer the sauce on the retail level, noting that his first forays into food involved peeling garlic for his grandmom in her kitchen. Customers can get a take-home taste this week, when the first jars of marinara go on sale at the three locations. ($7.99 per, with four servings per jar.) Elowsky says the red sauce could shortly appear at specialty markets, plus larger outlets. Jay Elowsky appeared on Fox 31 news this morning, to talk about his new pasta sauce, released today. You can now purchase the delicious sauce at any of the three Pasta Jay restaurants in Boulder, Lone Tree, and Moab, Utah. Additional stores where the sauce can be purchased will be announced soon. 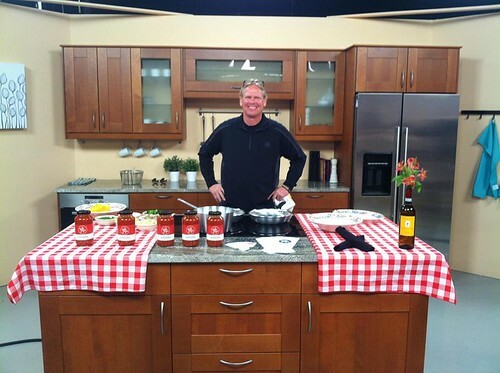 Get ready to sauce up your Monday morning as Pasta Jay cooks his secret marinara sauce live on Channel 31! After twenty-five years perfecting his Marinara Sauce, Jay Elowsky is sharing his creation with the world. 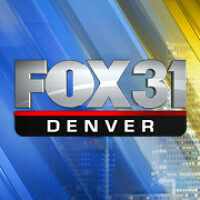 The offiicial launch of the Pasta Jay Sauce is Monday, March 24th, and to help celebrate, Jay will appear on Fox News, Channel 31, at 10:45, on Monday, to share cooking tips and his garlic-infused sauce with the Fox 31 crew. Watch and support your favorite Italian restaurant. Jay’s famous marinara goes on sale to the public on March 24. The marinara can be purchased at Pasta Jay’s restaurants in Boulder, Lone Tree and Moab. Moab unicyclists involved with Munifest – The Moab Mountain Unicycling Festival are encouraged to carbo-load on the best Italian food this side of Naples. Pasta Jay’s also sends a welcome shout out to all endurance racers taking part in this weekend’s 24 Hours of Utah. Eat with us and celebrate your achievements. Pasta Jay’s launches Pasta Sauce Line! Pasta Jay’s, the Italian restaurant concept founded in downtown Boulder more than 25 years ago, is manufacturing its pasta sauce for retail, officials announced Tuesday. Pasta Jay’s plans to can its marinara sauce in 24-ounce jars and start selling them in its restaurants on March 24. Pasta Jay’s operates restaurants at 1001 Pearl St. in Boulder, at 9226 Park Meadows Drive in Lone Tree and 4 S. Main St. in Moab, Utah. “This is something that’s been in the works for a long time,” said Jay Elowsky, Pasta Jay’s owner. The intention is to eventually widen the distribution of the secret family recipe sauce to specialty grocery stores, he said. “I’m trying to get it into the local markets here in Boulder and see where it goes from there,” he said. Pasta Jay’s Marinara is manufactured at the Kitchen Network commissary in Denver, Elowsky said.